There’s really no delicate or politically correct way to put it. Our kids are competing against cheats. And considering enrollment trends of the past five years suggesting a phenomenal increase in the numbers of international students coming to the U.S. for college, some of the cheats may be winning. I've just got to say "bravo" to Nancy for writing such a brave piece...taking on the College Board and the SAT exam, and calling them out for an international cheating scandal that just keeps getting worse. How is this cheating happening, and what can be done about it? Head over to the Examiner and read the article for yourself. And if you want to learn more about this topic, check out the video clip below. It's a news report from Chinese state broadcaster CCTV, which shows how the Chinese media is covering the story. We'd love to hear your thoughts. 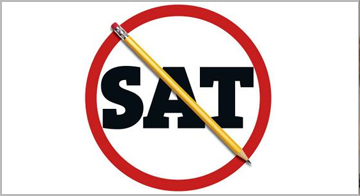 Do you think cheating is becoming an issue with the SAT's?